Celestron Kids is bringing you real optics, and real fun! 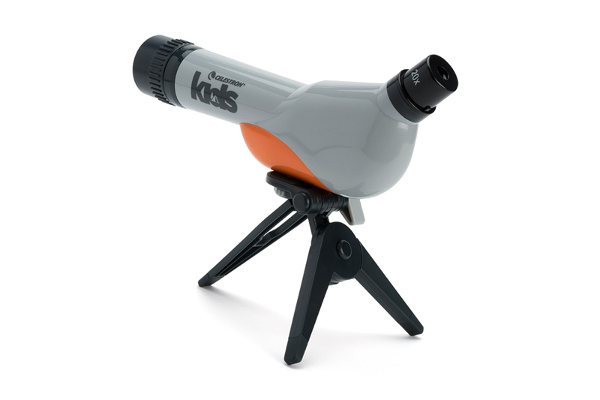 Enhance your child’s view with this spotting scope and create new adventures on the go. With a 30mm objective view and your choice of 20x, 30x, or 40x magnification, the Celestron Kids Spotting Scope is the perfect introduction to outdoor exploration. 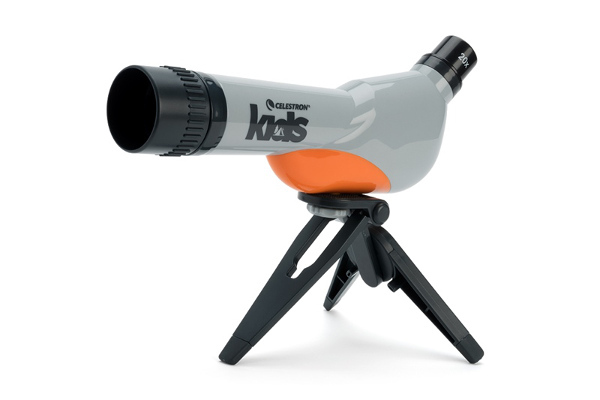 The Celestron Kids Spotting Scope includes a tabletop tripod for a stable viewing option. The small size of the spotting scope makes it easy for kids, and parents, to tote around in hand or in pocket. Let your child explore the world as a Celestron Kid and watch the magic unfold. Great toy for my 8 year old nephew. Really well made too! If You Liked Celestron Kids 30MM Table Top Spotting Scope, See More Related Products Below!